If regular bikes aren’t quite sustainable enough for you, this bamboo bike kit could be the answer. 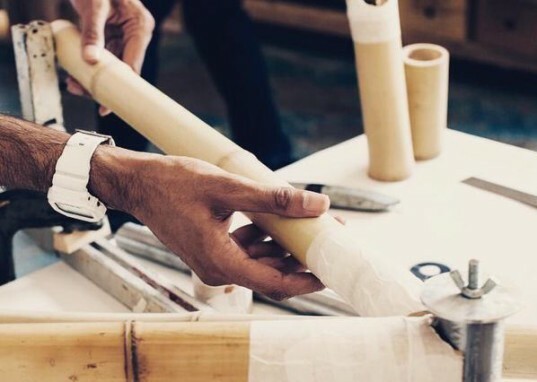 The Bamboo Bicycle Club, which started as a bike-building workshop in London, now creates mail-order kits, complete with all the parts needed to build a bamboo bike frame at home. The bike can be built in about two days. The first day is dedicated to measuring and sawing each of the frame pieces to size. On the second day, bike builders join the frame together by winding hemp webbing soaked in an epoxy resin tightly around each joint. The frame can then be fitted with standard bike components. There are six frame designs to choose from, including Road, Hybrid, Track, MTB, Fatbike, and even a tandem model. For people with a flair for design, a custom kit is also available. The kit is not for absolute beginners and requires a little experience using a saw, drill, and other tools. The Bamboo Bicycle Club also rents all necessary tools to home builders who don’t already have a workshop full of c-clamps and saws. For bamboo bike enthusiasts who are not comfortable trying this one at home, the Bamboo Bicycle Club holds bike-building weekend workshops in their store in London, England, where they supply all the tools plus as much building support as each attendee needs. The Bamboo Bicycle Club has been running workshops for more than three years and has built dozens of types of bikes, including cargo bikes, electric bikes, and world touring models. 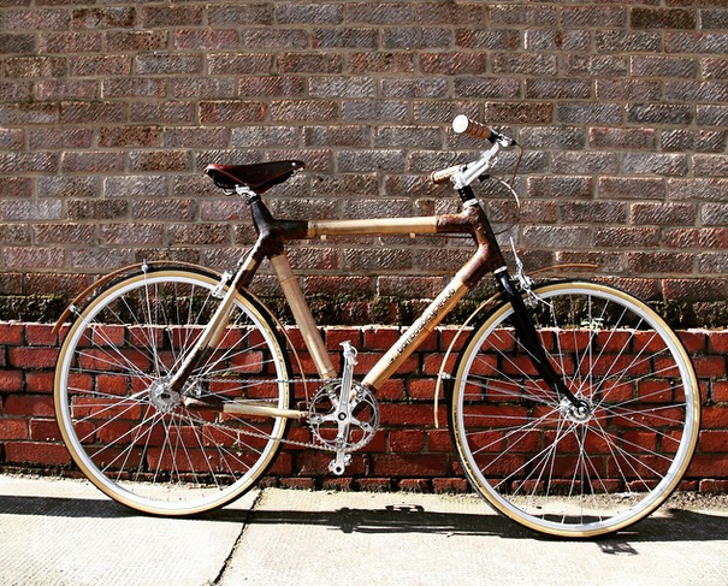 If regular bikes aren't quite sustainable enough for you, this bamboo bike kit could be the answer. The Bamboo Bicycle Club, which started as a bike-building workshop in London, now creates mail-order kits, complete with all the parts needed to build a bamboo bike frame at home. 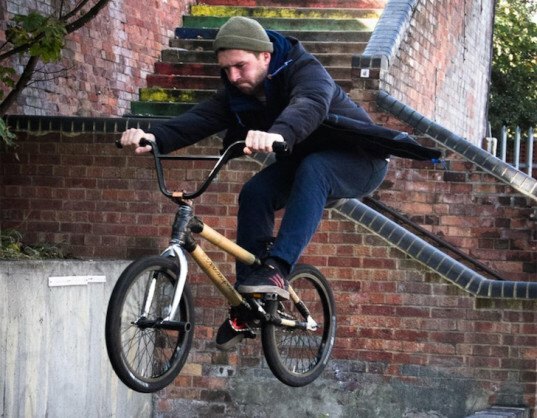 Testing a Bamboo Bicycle Club BMX bike. 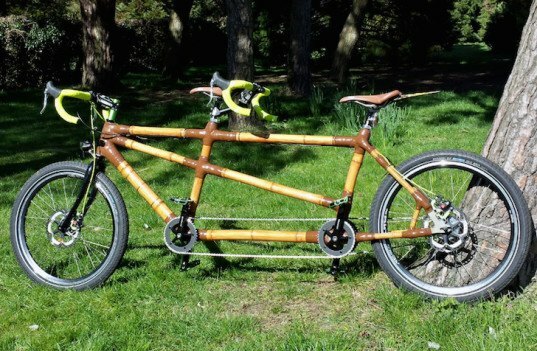 A tandem bicycle made from bamboo at the Bamboo Bicycle Club.